Not interested in Owatonna ? Please choose a different community. 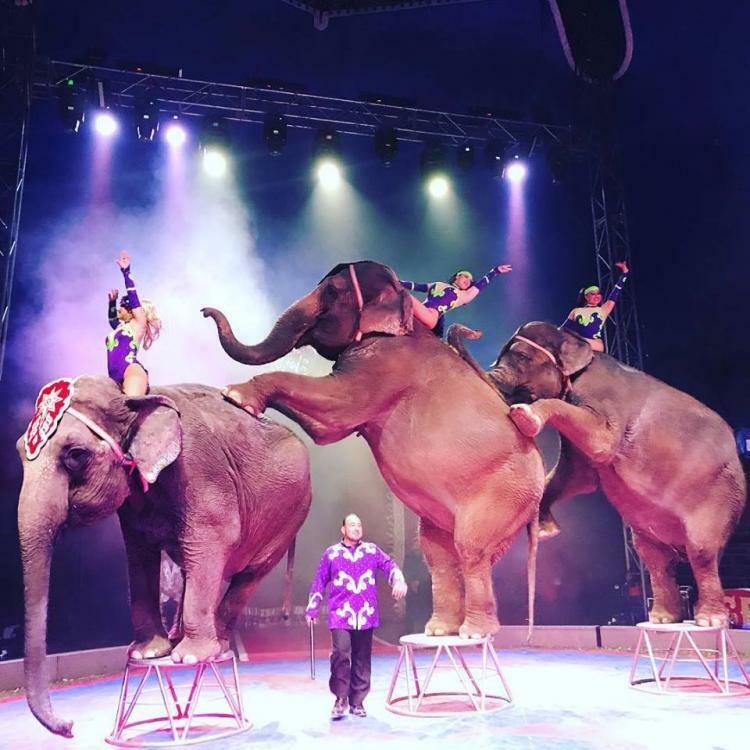 The Circus is presented in traditional American “Big Top” style and features amazing aerial artistry, daredevil motorcycle maniacs, and the world-famous Carson & Barnes Elephants. A giant menagerie of exotic animals from around the world is presented free of charge before each performance. Elephant and pony rides are available for a small charge on the Circus midway, along with many other exciting pre-show activities. The Carson & Barnes Circus family has toured North America for four generations, bringing first-class family entertainment to millions. From small towns to big cities, urban America to Native America, border to border, and coast to coast, America's First Family of the Circus boasts a legacy of more than 30,000 performances. Carson & Barnes Circus is affordable for the entire family. For Ticket Information, you can visit our website www.BigTopShow.com.